Left to Right: Black, Dark Brown, and Saddle Tan. Designed for leatherworkers, this premium-grade calfskin lace has a tight grain and a smooth glazed surface, making it easy to work with. It comes in two widths and is put up on 50-yard (150 foot) spools. The 3/32" spools weigh ~3.5-4.7 oz. 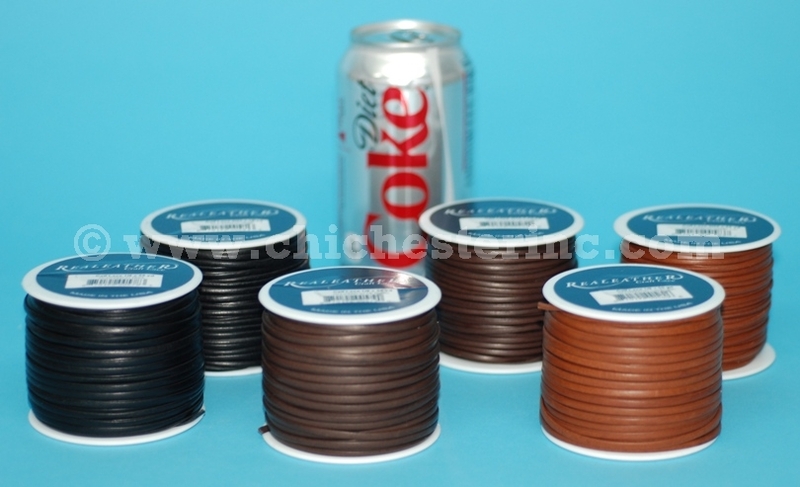 The 1/8" spools weigh ~4.2-4.7 oz.